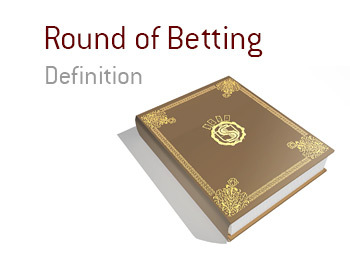 What is the definition of the term "round of betting"? What does the term "round of betting" mean in the world of poker? In poker, a "round of betting" occurs when players bet, fold, raise or call after a street has been dealt. 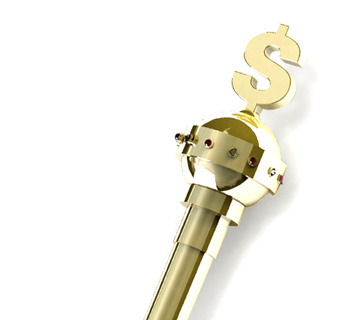 The "round of betting" has been completed when the last bet or raise has been called by the last eligible player. Let's look at an example of a "round of betting". You have picked up pocket Aces in the BB in a local $1/$2 No Limit Hold'em cash game. Action folds around to you. You put in a raise, which both the SB and BB call. The flop brings A-10-10, giving you a full house. The SB checks, the BB bets, you decide to slowplay your monster with a call. The SB quickly folds. After the SB folds, the current "round of betting" has been completed. Once the turn is dealt, another round of betting will begin.